Our own moods are reflected in the moods of our children. 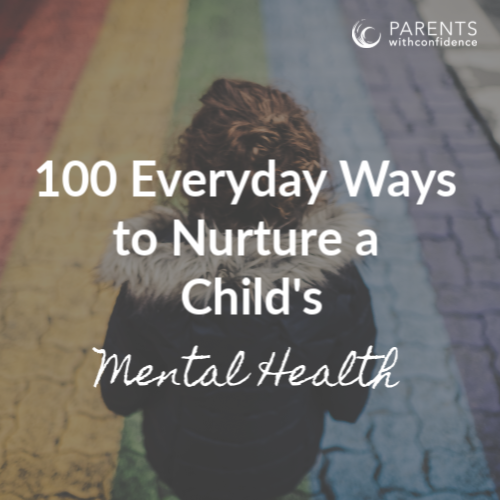 My kids confess that my mood and attitude greatly affect them and that my happiness is extremely important to them, but knowing how to stay calm with kids doesn’t always come easily. In many ways, moms create the atmosphere our children live and grow in. This is both an incredible pressure and a tremendous privilege. This means that it is now imperative for me to be emotionally mature and step up to the challenge of learning how to stay calm with my kids. I must rise above reactivity and learn healthy ways to properly manage my emotions and moods. 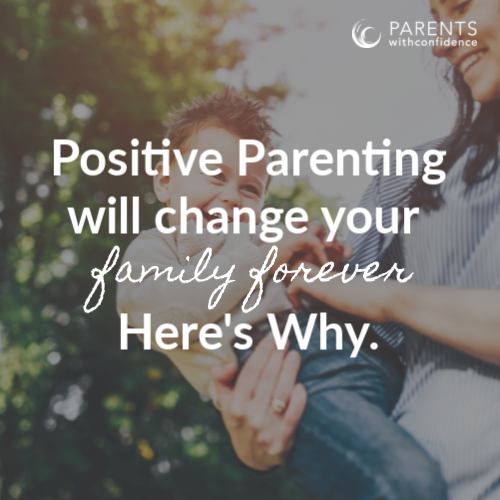 As moms, we have to purposefully choose joy and a positive attitude so that our children can grow and thrive in a happy home. We cannot rely on our days to go calmly or smoothly, because frankly, they rarely do! Instead, we have to be the calm in an otherwise chaotic scene. 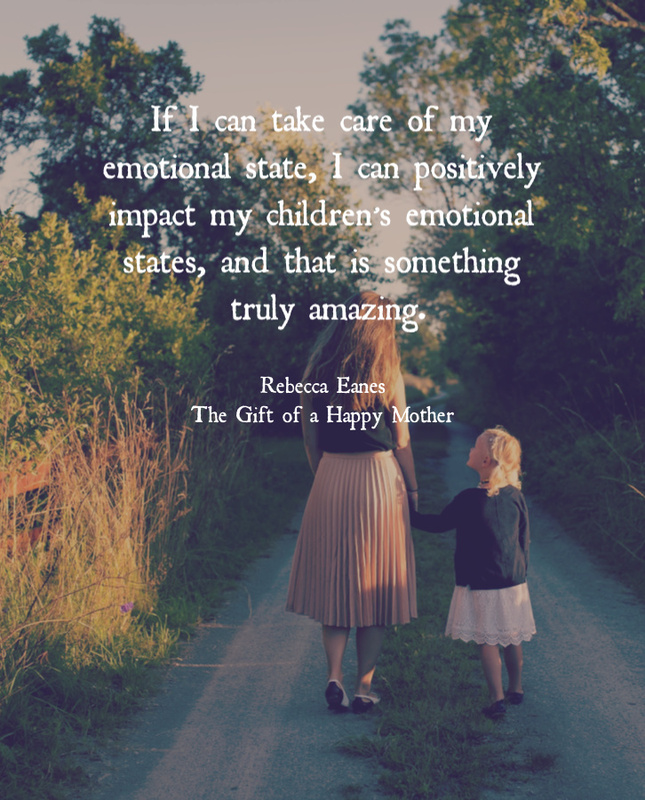 If I can take care of my emotional state, I can positively impact my children’s emotional states, and that is something truly amazing. I can create an environment where my children feel safe, loved, and worthy. I can make my home a place of belonging, and that is some of our most important work. If I get the environment – the tone – in my home wrong, the consequences could be many. However, getting it right is everything. The first step in managing my emotional reactions is self-awareness, and this is the ability to recognize and understand moods and emotions and how they affect not only my behavior but also the people around me. For me, learning this has been a process. 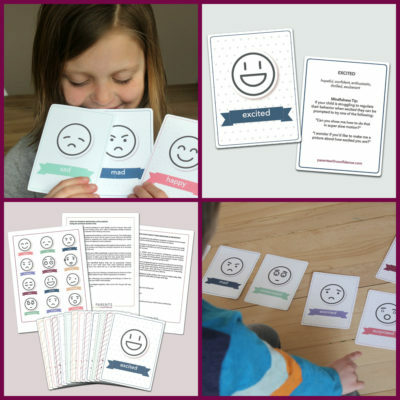 I used to believe my mood was entirely created by the circumstances or environment I was in, but I’ve since learned (and am still working on applying) the fact that my mood and my emotions are a direct result of my thoughts, and learning to manage my thoughts has been a big challenge of parenting for me. If I went through my day letting everything my kids do “wrong” or don’t do at all frustrate me and throw me into a sour mood, I would be giving away so much of my joy and, honestly, I’d be giving a lot of power to my children. If I allow what I see on social media, piles of laundry, or other minor annoyances dictate my mood, I’m setting myself up for an unhappy life. Self-awareness comes through being mindful, keeping a finger on the pulse of my thoughts and feelings, and adjusting as necessary. Once I become aware of my emotions and how I handle them, the next thing I must do is learn how to regulate those emotions. This means that I am able to control impulses and moods and to think before acting. It doesn’t do much good to have self-awareness if I don’t have self-regulation, yet self-awareness is obviously a critical element as I cannot control that which I am not aware of. My favorite tip for self-regulation is placing a hand over my heart as I breathe deeply and repeat a mantra such as “we are okay” before I respond when I feel my agitation rising. 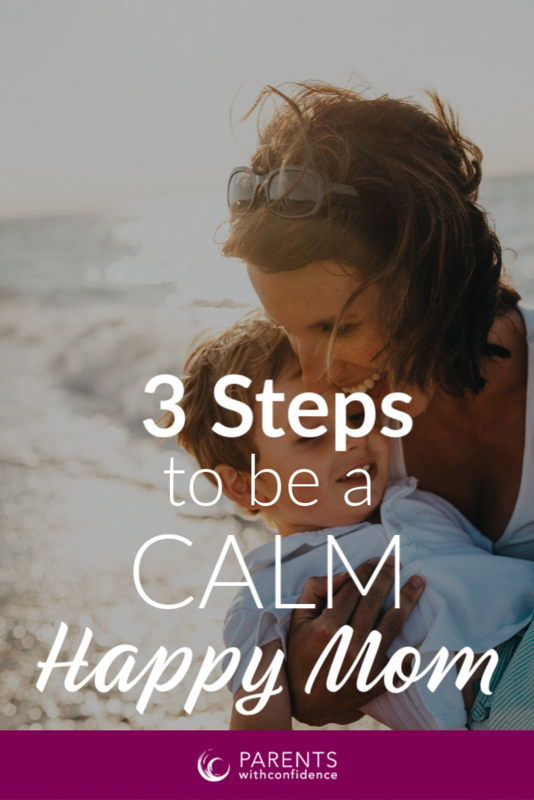 There are plenty of calming techniques moms can use once we become aware of our emotions (I’ll list some below), but the trick is to expand that space between action and reaction and find what works best for us in that interim. Finally, this all must be driven by internal motivation. I must be governed by my vision and purpose. I must possess an inner vision of what is important to me in motherhood and life and be guided by that vision. 1. What do I want my legacy to be? 2. What are my main goals as a mother? 3. When my children tell their children about the days when they were growing up, what do I want their stories to be? 4. List several words to describe the environment you hope to cultivate in your home. Here are 15 ways to calm yourself once you become aware of frustration, agitation, or worry. 1. Place your hand over your heart, close your eyes, and take slow, deep breaths. 2. Laminate a baby photo of your child and carry it in your pocket. Look at it when you feel anger rising. 3. Stretch your muscles. Stand up tall, put your arms behind you, lace your fingers, and open up the chest as you stretch your arms back. 4. Move your body. Do 10 jumping jacks or pushups. 5. Step outside and get a breath of fresh air. 6. Pull out your favorite book and read a few paragraphs. 7. Keep a notepad of inspirational quotes in your purse. Read them to reset. 8. Close your eyes and visualize your happy place. A beach? A forest? A concert? 10. Smell something calming, like lavender oil, your favorite perfume, or baby shampoo. 11. Focus on your five senses. Notice what you see, hear, smell, taste, and feel in that moment. 12. Press the pressure point between your eyebrows to relieve stress. 13. Give yourself a hand massage. Use the thumb of one hand to press around the palm of your other hand and then switch. 14. Create a calming playlist on your phone and put in your headphones. 15. Hug someone. Physical contact with a loved one boosts oxytocin and helps you calm down quicker. 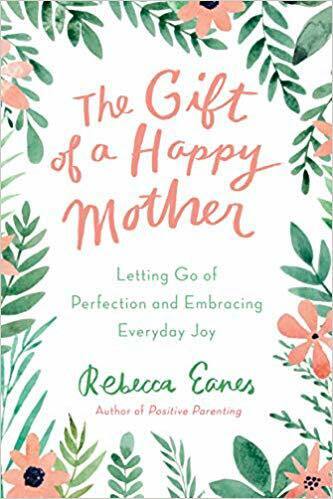 For more practical strategies and inspiration like this, check out Rebecca’s new book, The Gift of a Happy Mother: Letting Go of Perfection and Embracing Everyday Joy which is a supportive guide that gives busy moms permission to care for themselves. Filled with fresh insights, simple strategies, and aha moments, this book will show you how to find joy amidst the beautiful chaos of motherhood.